Four friends from rural Suffolk join up to fight in the First World War. Their enthusiasm quickly dampens as they are faced by two enemies – the German soldiers and the appalling conditions at the Front. But one Christmas Day, an extraordinary thing happens. One by one, soldiers from both sides cautiously emerge from their trenches. For a few hours, they put aside the war that has made them enemies to play a historic game of football in No Man’s Land. Michael Foreman recalls the heroism of the young soldiers who fought in the war in this powerfully affecting Grand Prix winner of the Smarties Prize. 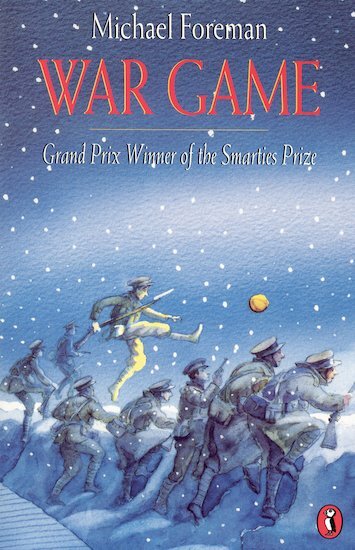 6 copies of this classic children’s book to accompany Read and Respond: War Game.